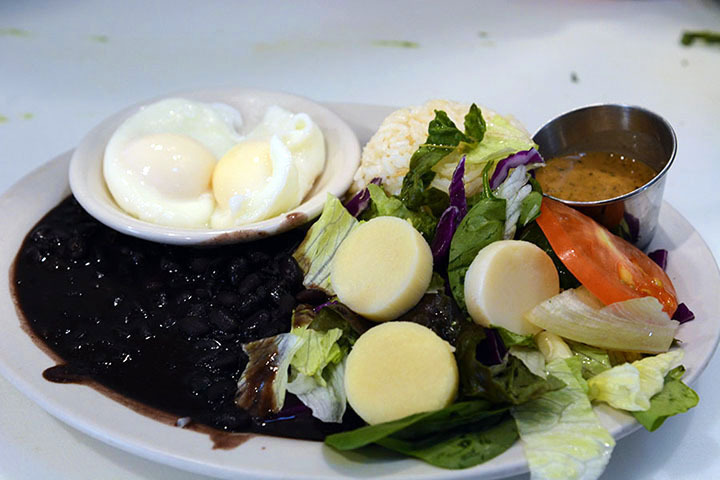 Our breakfast, brunch and lunch dishes are real Brazilian recipes, fresh, made from scratch, abundant served with Brazilian hospitality! 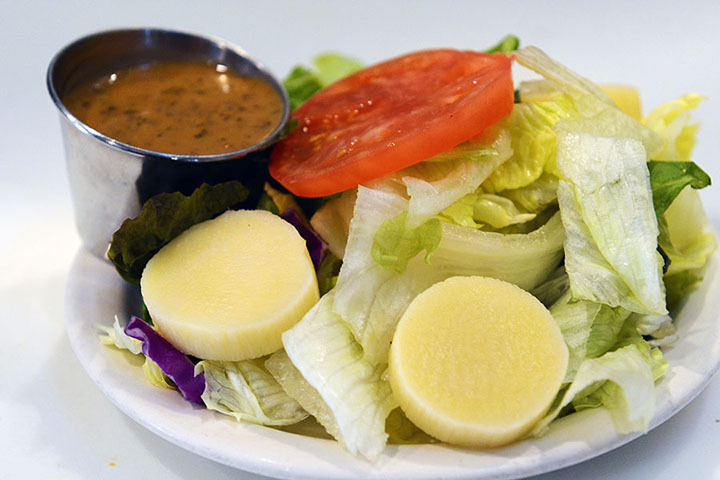 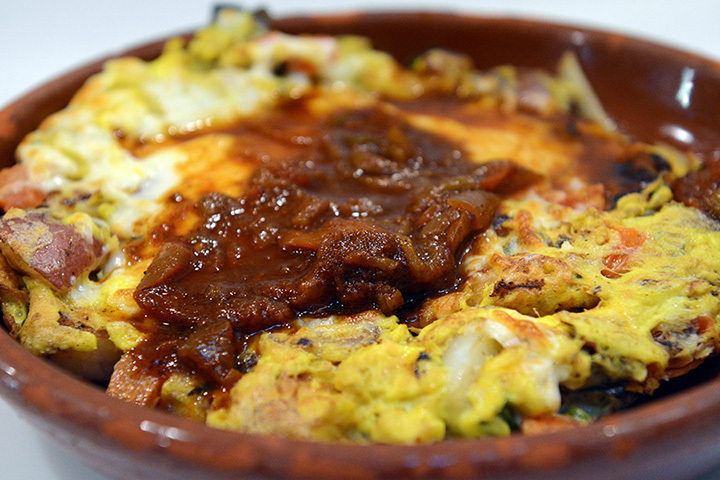 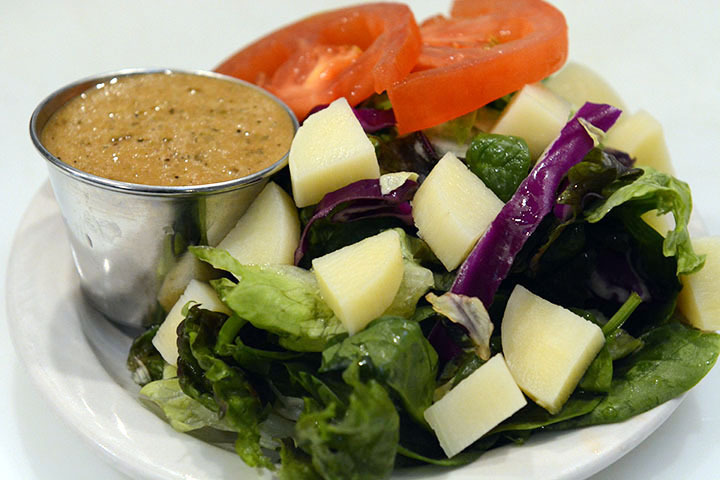 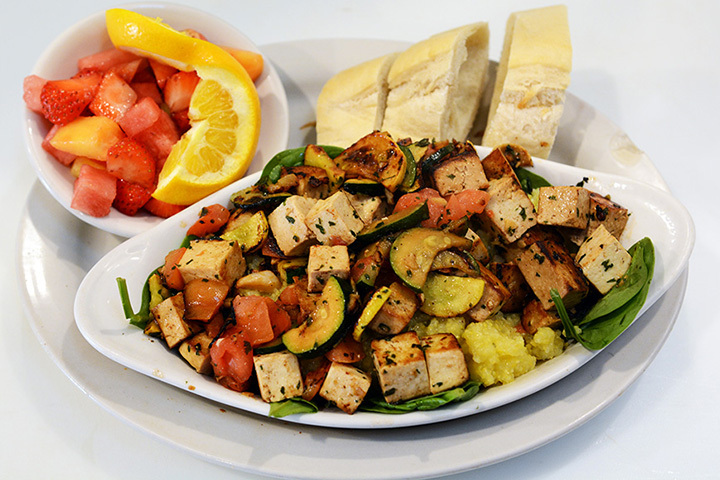 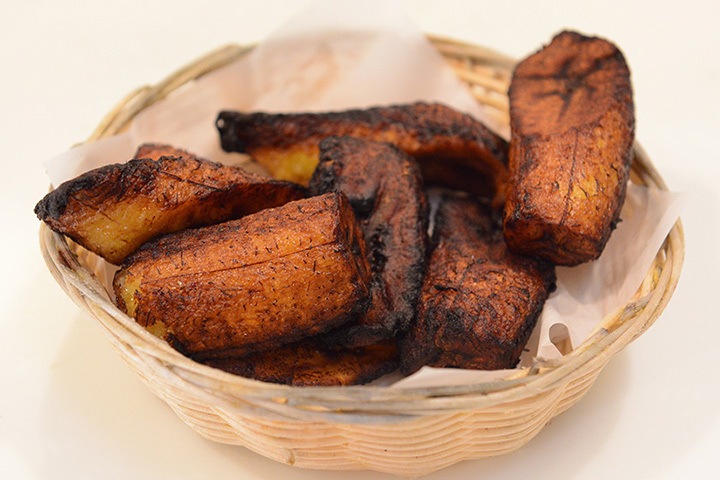 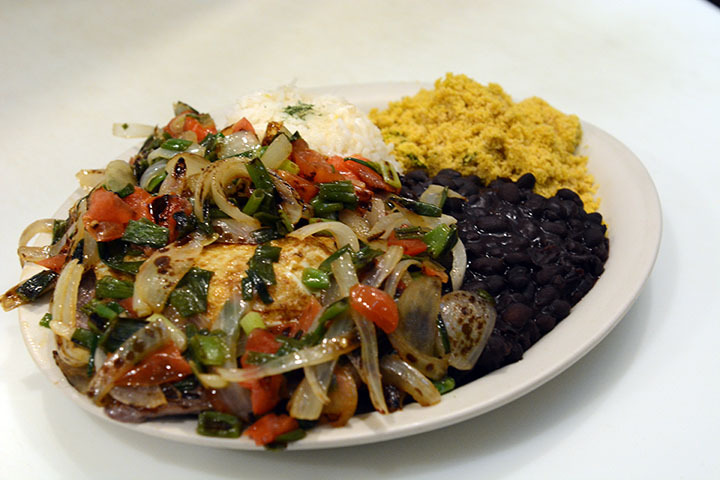 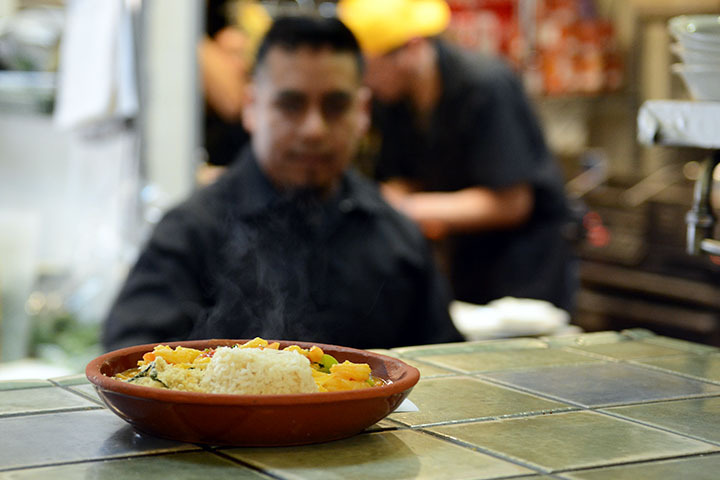 Our dishes are fresh, made from scratch and abundant, served with Brazilian hospitality. 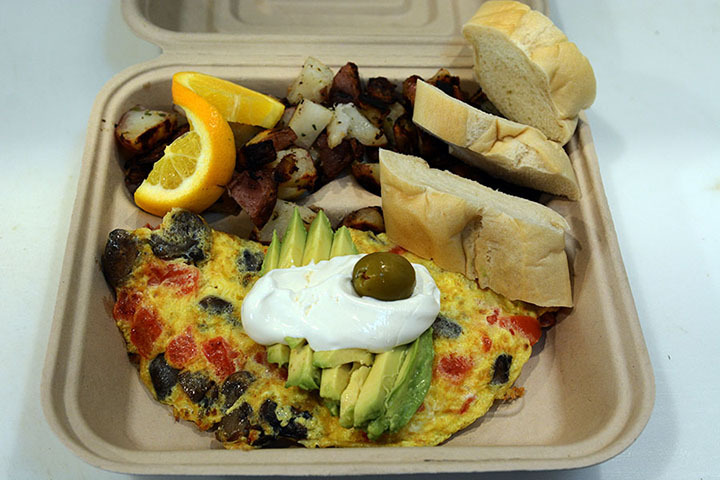 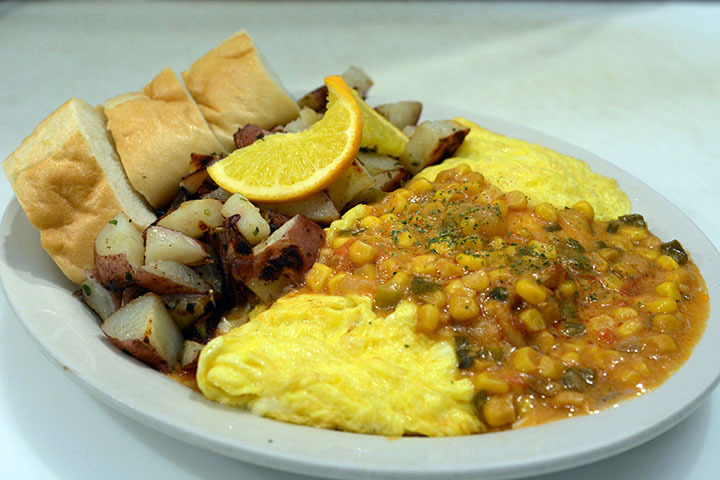 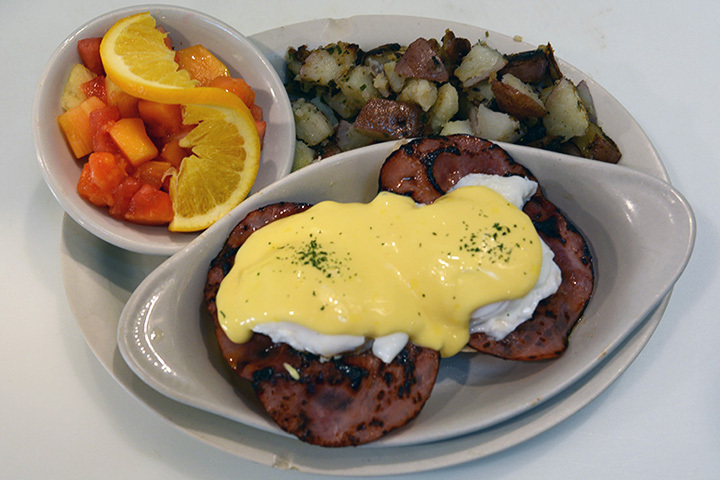 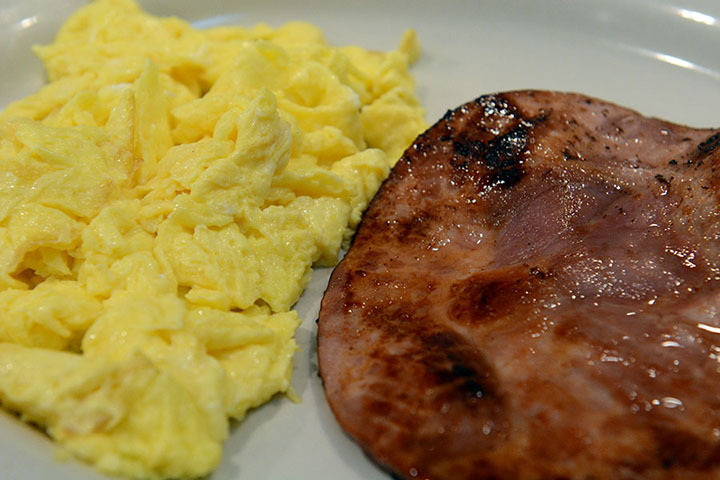 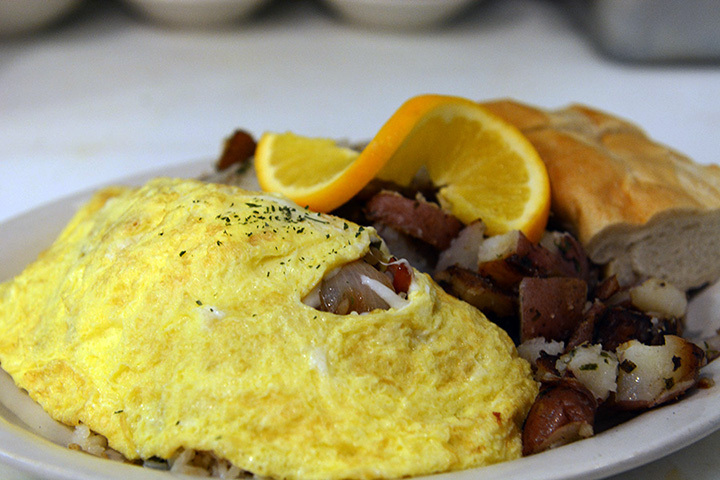 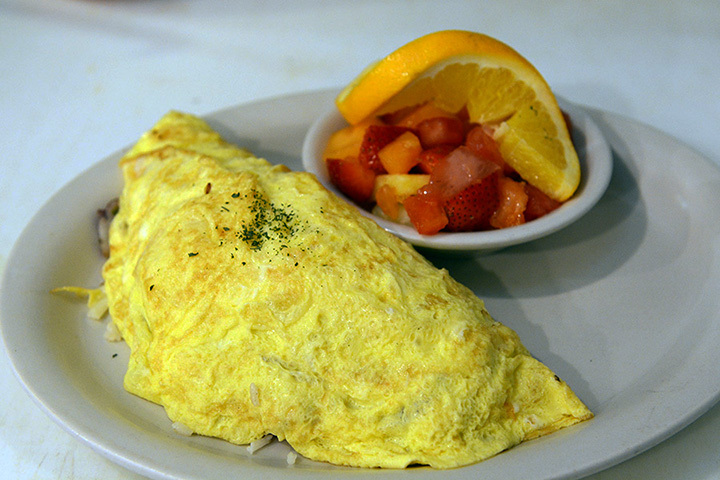 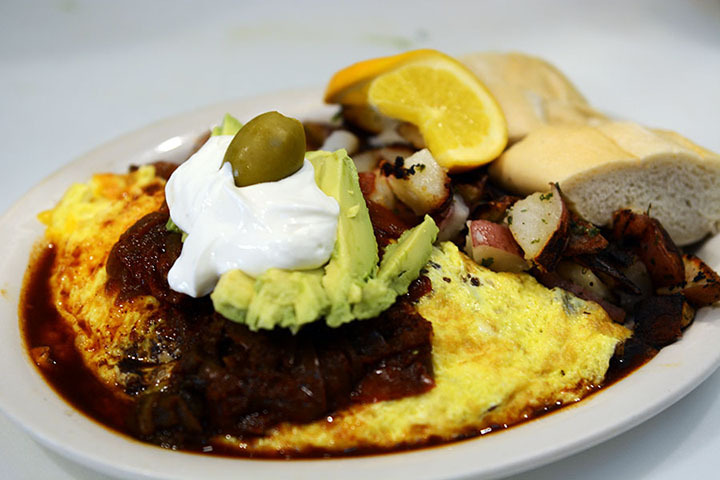 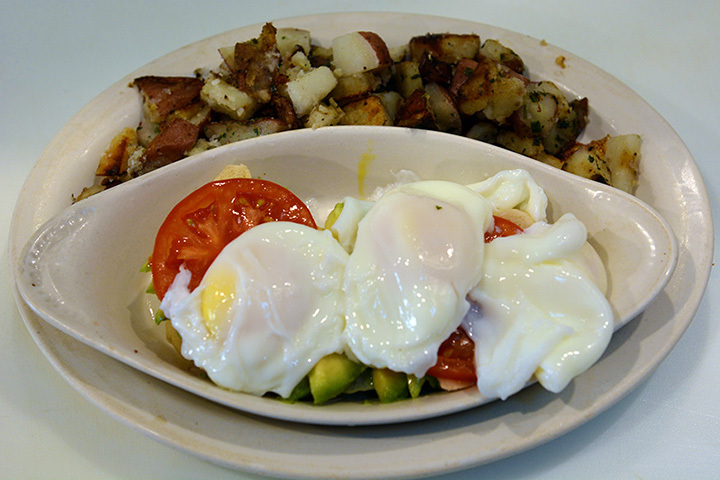 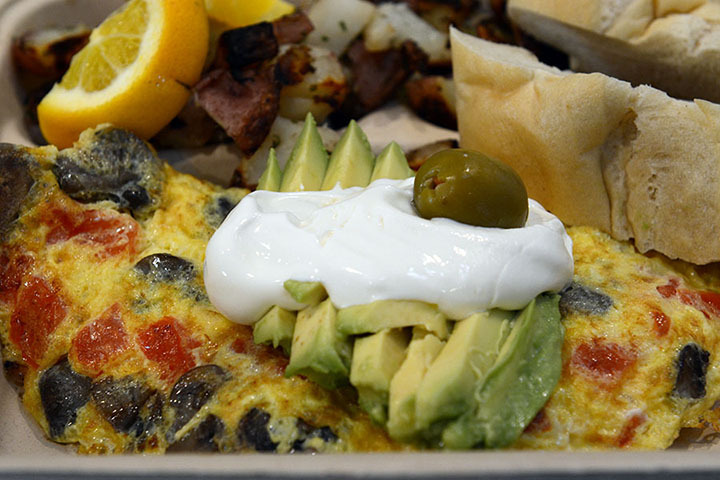 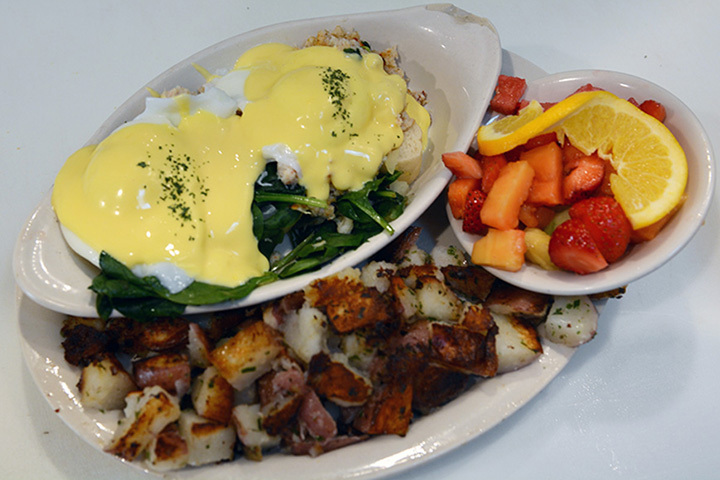 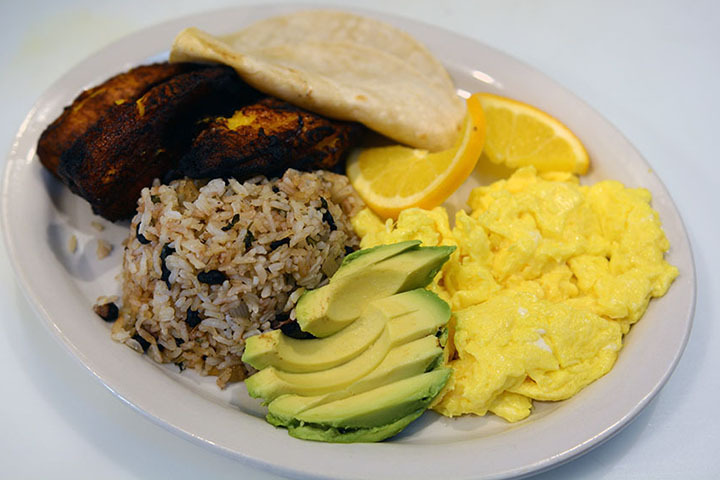 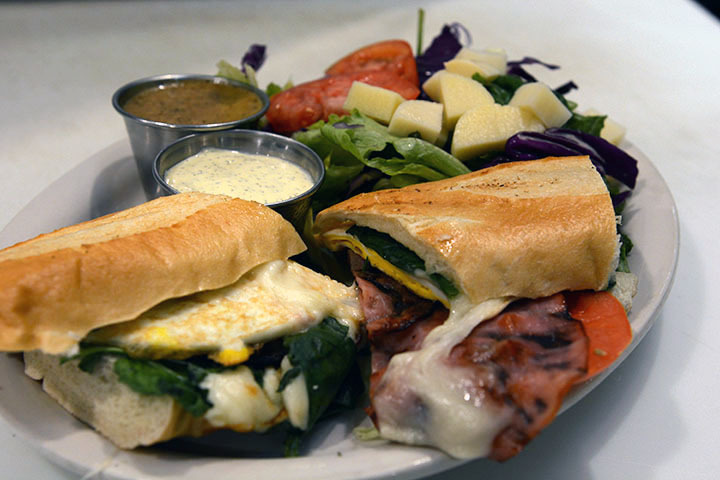 We serve breakfast, brunch and lunch all day, it only depends on your mood and craving. 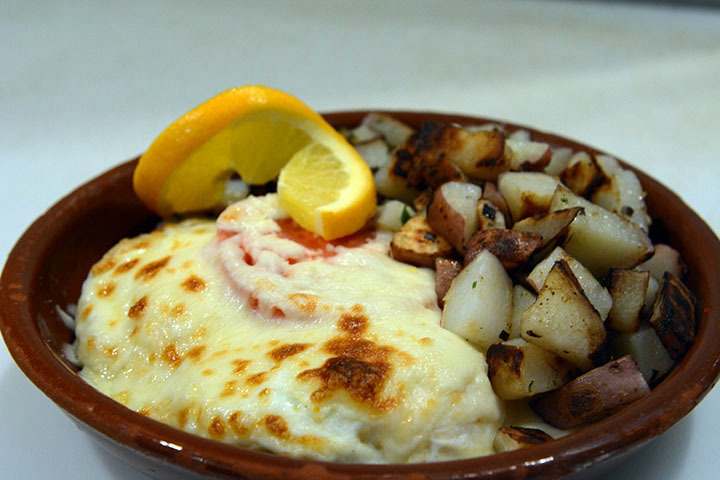 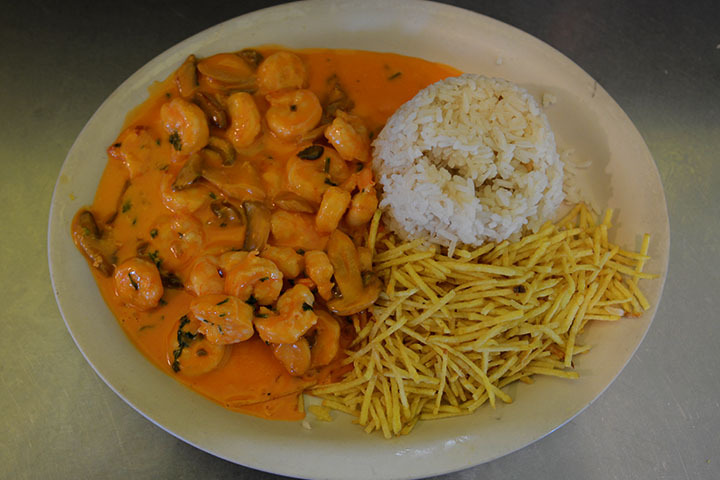 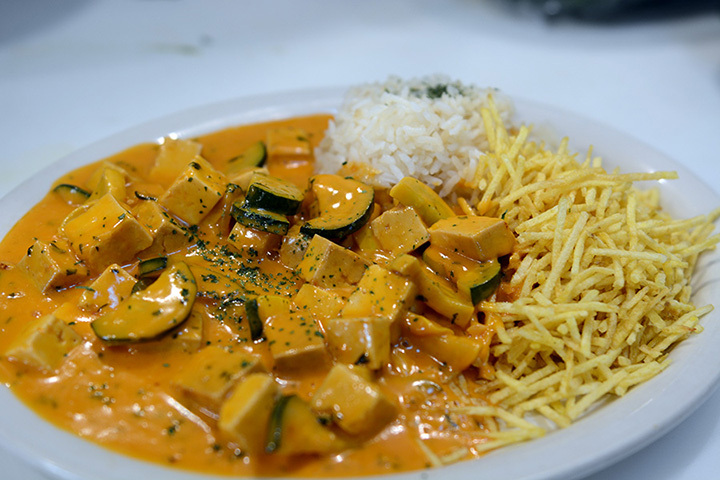 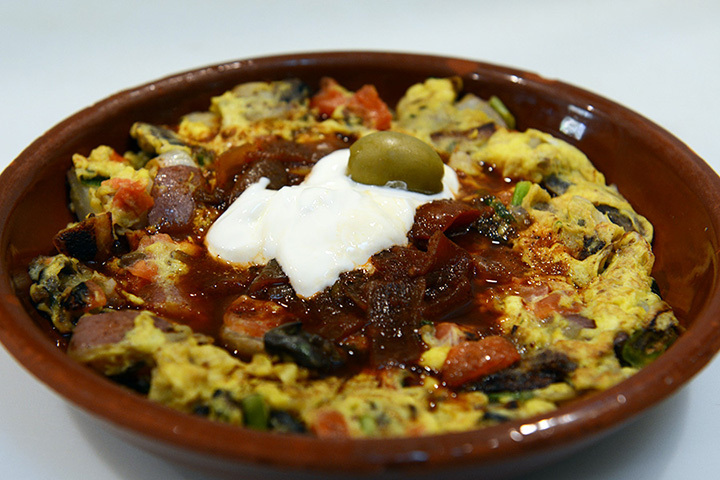 There are several options for the most important meals of your day, a menu that combines popular dishes of the Santa Cruz lifestyle to typical Brazilian recipes. 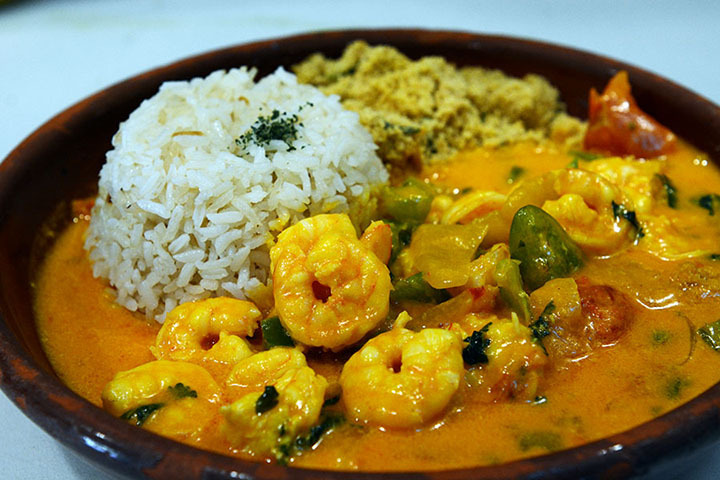 For those who want to explore and feel the Brazilian flavors, dishes like “Feijoada”, “Fish or Seafood Moqueca”, or even popular appetizers as “Coxinha de Galinha” or “Aipim Frito”, are all grate choices. 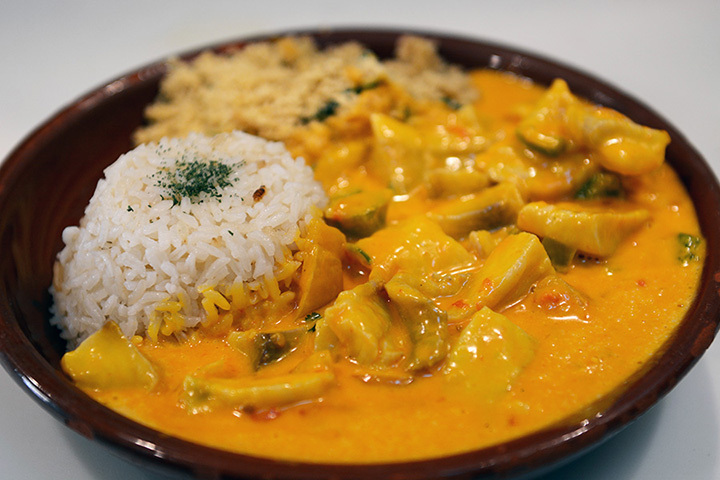 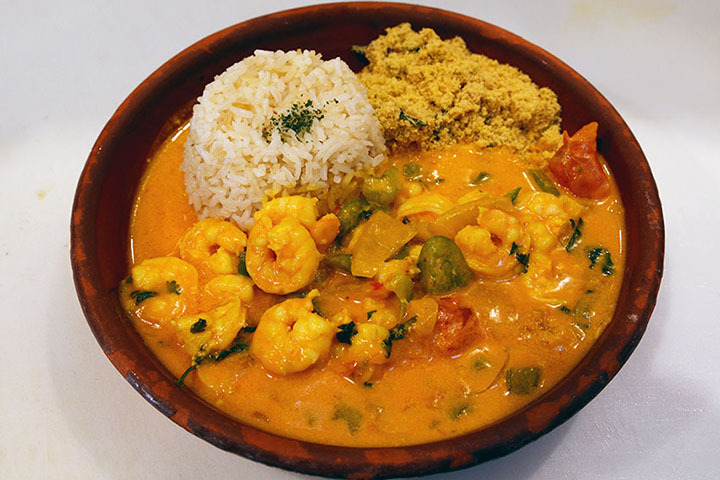 Brazilian cuisine is a result of a delicious combination of European, Indigenous and African ingredients and recipes originated at the time of Portuguese colonization in Brazil. 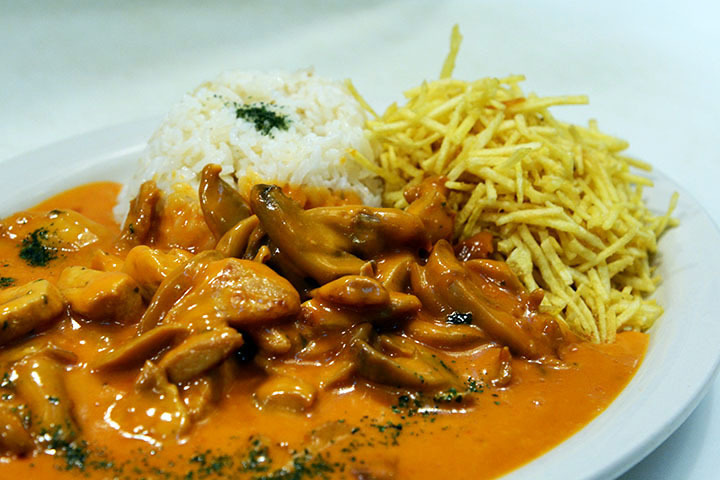 These recipes changed over time and gained popular taste until they became icons of the Brazilian culture. 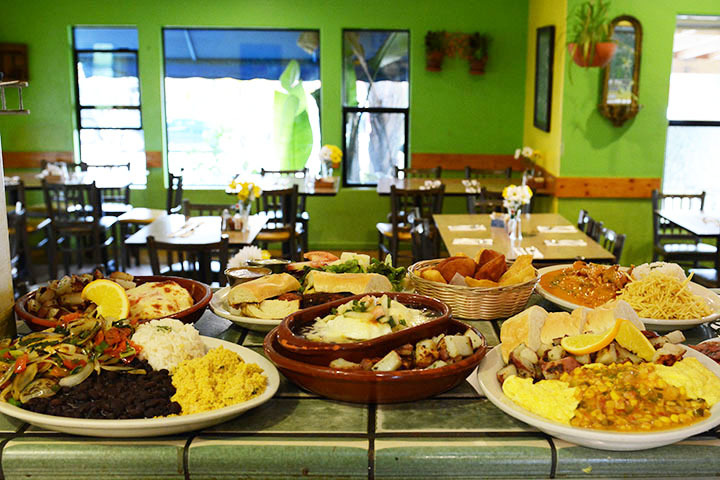 Taste it and you will enter a journey, an adventure into unknown lands and unusual flavors. 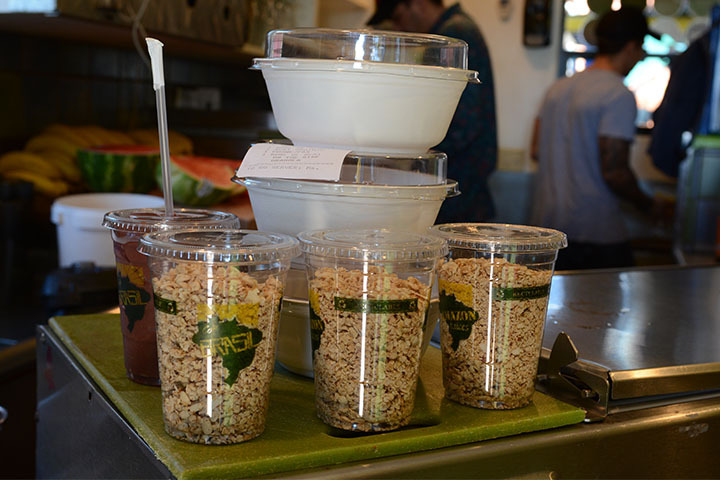 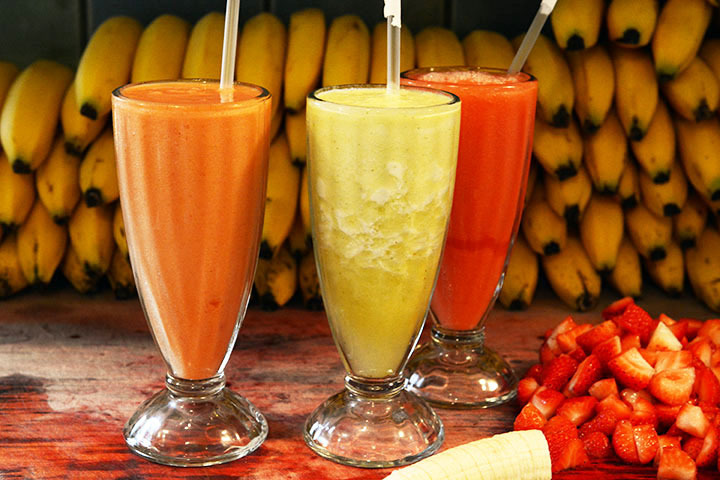 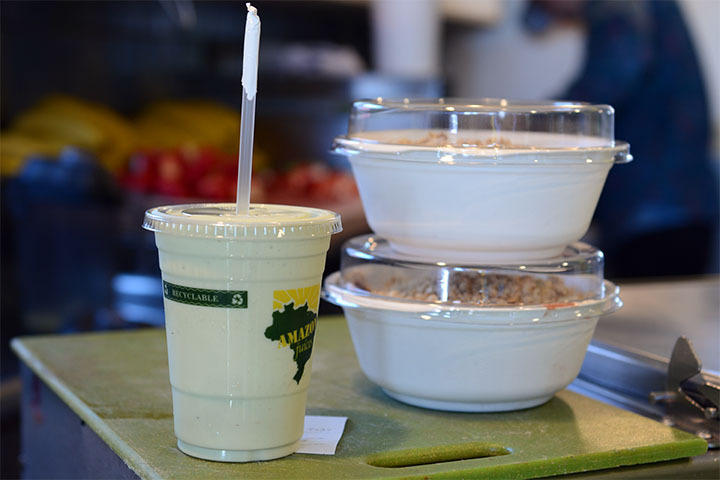 Our juices are fresh, made with carefully selected fruits from Brazil, other tropical regions and California. 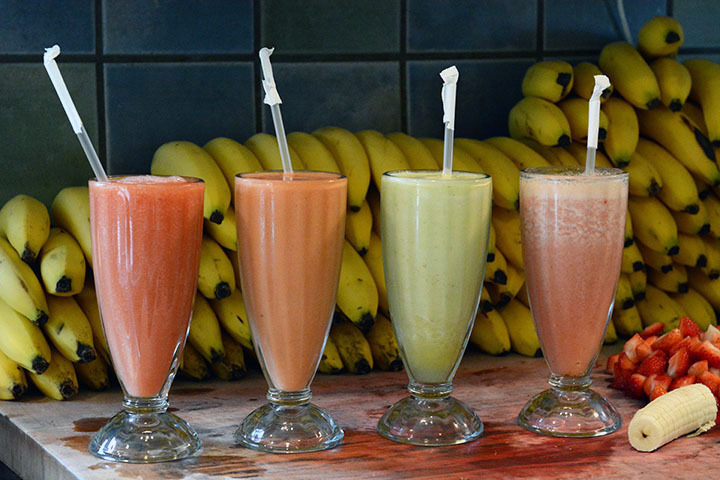 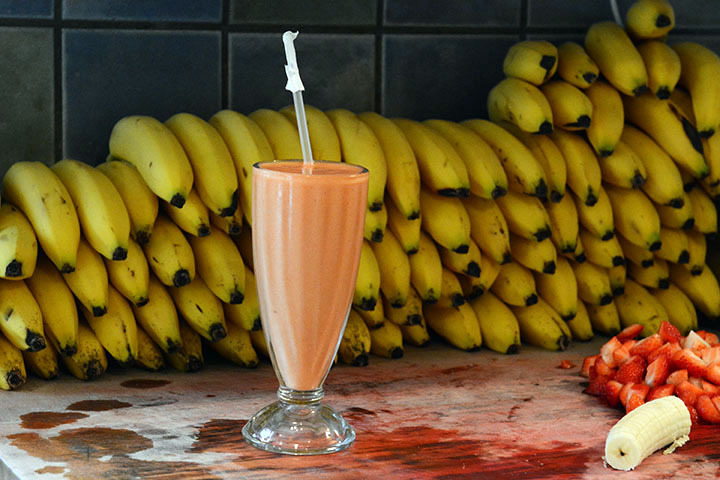 Our Juice bar features a selection of Brazilian pulp and exotic fruits found in the Amazon forest, in a menu with a great variety of healthy juices and refreshing smothies, rich in vitamins and antioxidants. 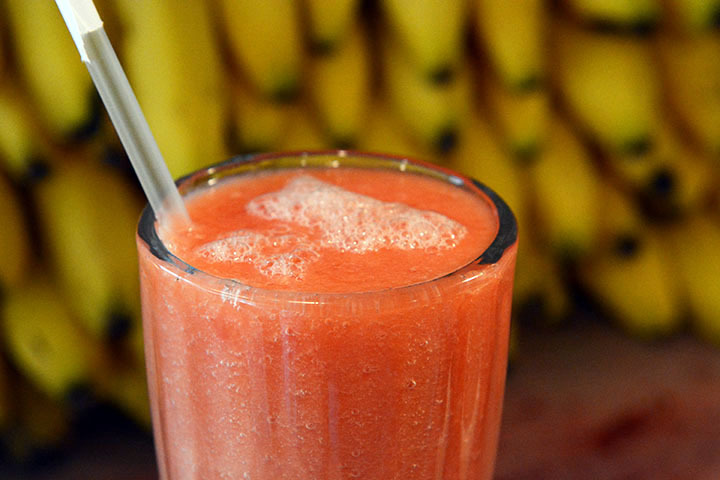 Some of the Brazilians fruits and it’s benefits: acerola (Brazilian cherry), has a high content of vitamin C that strengthens the immune system, caju (cashew fruit), found in the north and northeast of Brazil, has diuretic effect, is detox and very rich in fiber, helps to control satiety. 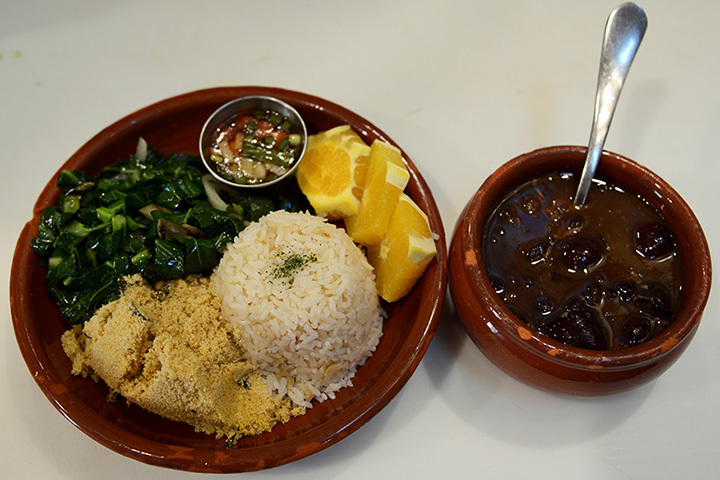 And the famous açaí (Amazon berry), found in the Amazon rainforest, has antioxidants properties and it’s energizing, ideal for those who wants to be satisfied with a healthy and tasty food - It’s one of the most requested items of the menu.